First call Kimball Roofing & Repairs, and have one of our roofing consultants give you a inspection to determine the extent of your damage. If Kimball Roofing has determined there is sufficient damage to your roof, now is the time to call your insurance company and file a claim. IMPORTANT: It is very important to have your Kimball Roofing & Repairs Specialist meet with your insurance adjuster at the time of their inspection. Your insurance adjuster will require you to have a signed contract from your contractor. Your Kimball Roofing & Repairs Specialist will work with your insurance adjuster on your behalf, making sure you receive full compensation you are entitled to. Your insurance company may want you to get 3 or 4 estimates. This time-consuming process is up to you. The amount your insurance company agrees to give you for repair of your home will be considered the total insurance allowance. If you choose the lesser of proposals, your total insurance allowance will be reduced to this amount, regardless of the quality and integrity of the company itself. In most cases, your insurance company will make two payments. The first check is for actual cash value (ACV), less depreciation. Upon completion of the work, your contractor will send a final invoice to your insurance company. This invoice will include ACV plus depreciation, which equals your net claim. Your insurance company will then release the depreciation check. To learn more about any of our services, or to arrange a Estimate on your next roofing, gutters, siding or related project, please reach out to us today. 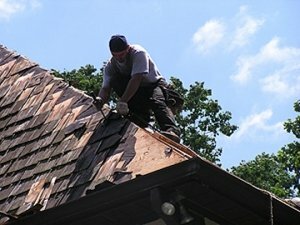 If you’re in the market for roofing contractors, your search is over. Quality is not just a word – it’s everything we do.